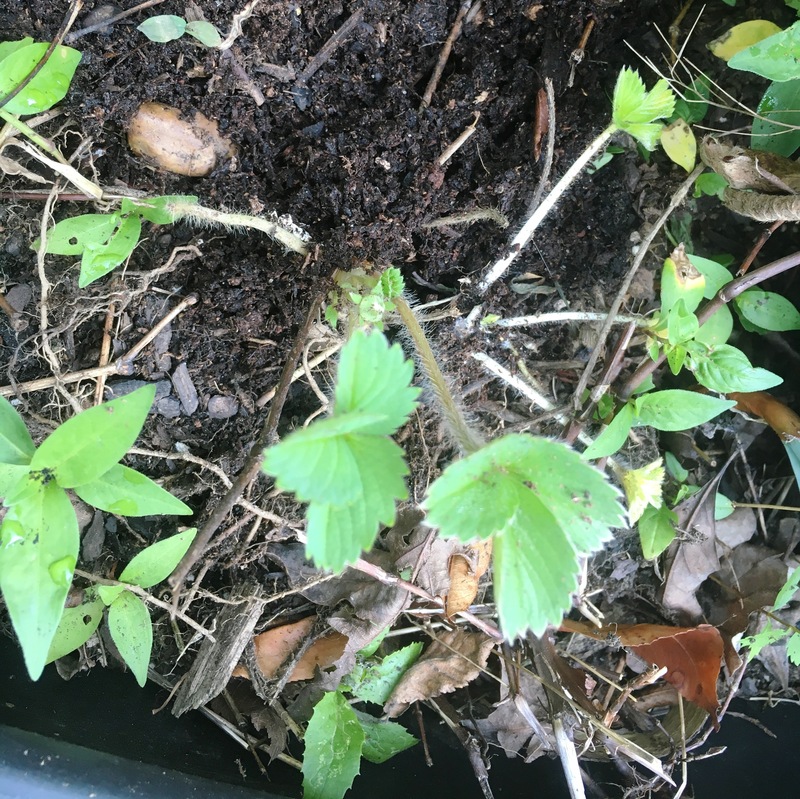 Strawberries On the Move! – How Would You Do It? Check that out, those rambunctious strawberries running for all they’re worth! I admit I hate to weed and so some weeds are taller than I am. Also, some really insistent viney crap is taking over no matter how many of those plants I pull up. I think they multiply by rhizomes, the root internet between plants. I pull up one gob, roots and all, but the root internet gets the signal: We’re under attack! Grow faster! Spread further! Now that they’ve infiltrated the strawberries, it’s clear why the poor berry runners are fleeing. 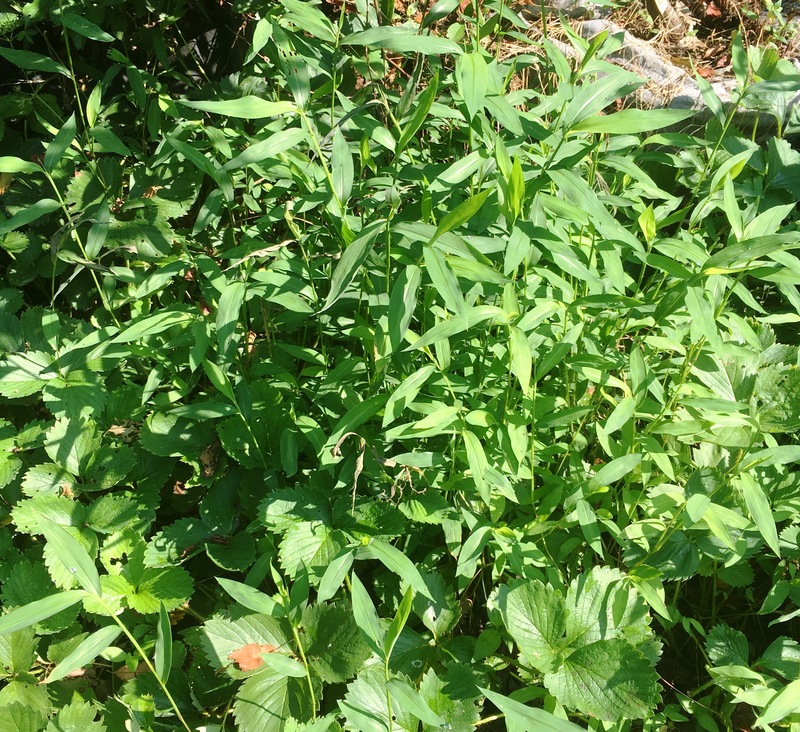 I attacked back, wading into the berry patch early in the morning to take a couple hours in the stifling heat to yank weed after weed. First, I know that stuff will sprout right back up. Second, the stuff is infested with turkey mites. Heard of chiggers? Turkey mites are very similar. They burrow into your skin and it itch-itch-itch-itches for days. Sure, shower and scrub right after weeding to wash them off. Fine plan that I did follow, but the faster burrowers had already dug in. Really, most came from my shoes. I had wiped them inside and out with bug spray, but that was a Bullwinkle move as I got ‘em up and down me RIGHT NOW. You hear so much about unwanted refugees on the news. 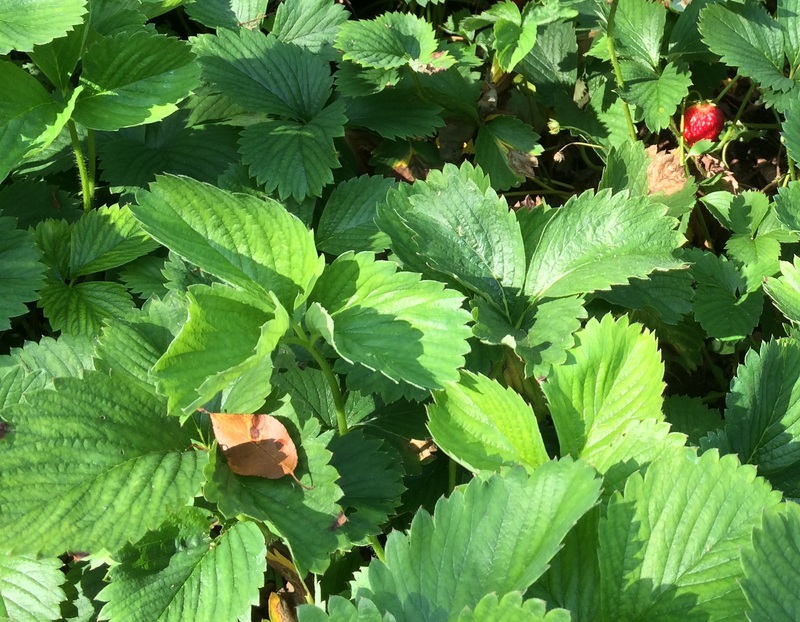 In can’t help but see those striving strawberry runners reaching out into bare gravel toward a block retaining wall, toward nothing hospitable, as an illustration of an archetypal theme. 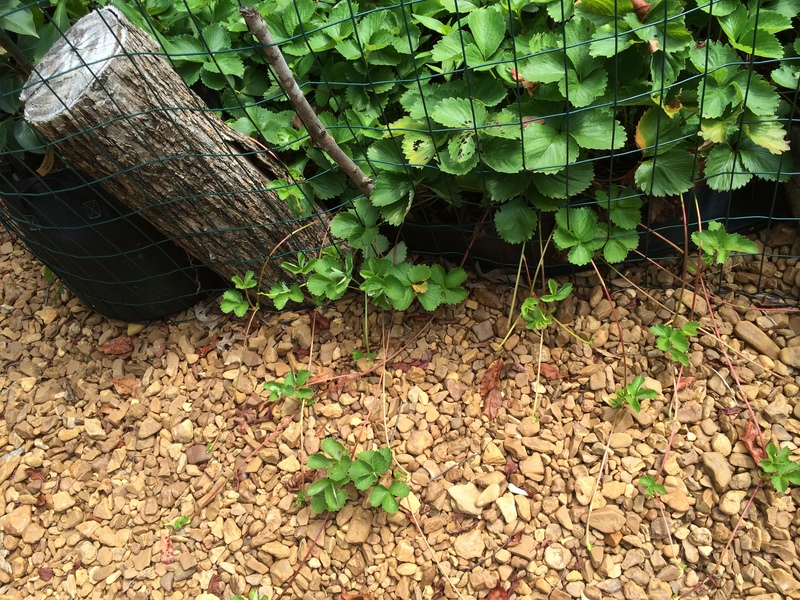 Unable to let that continue, I extended the strawberry bed and put 25 more (super-sale!) plants in with them. Check out before and after! Now, all that was last weekend. 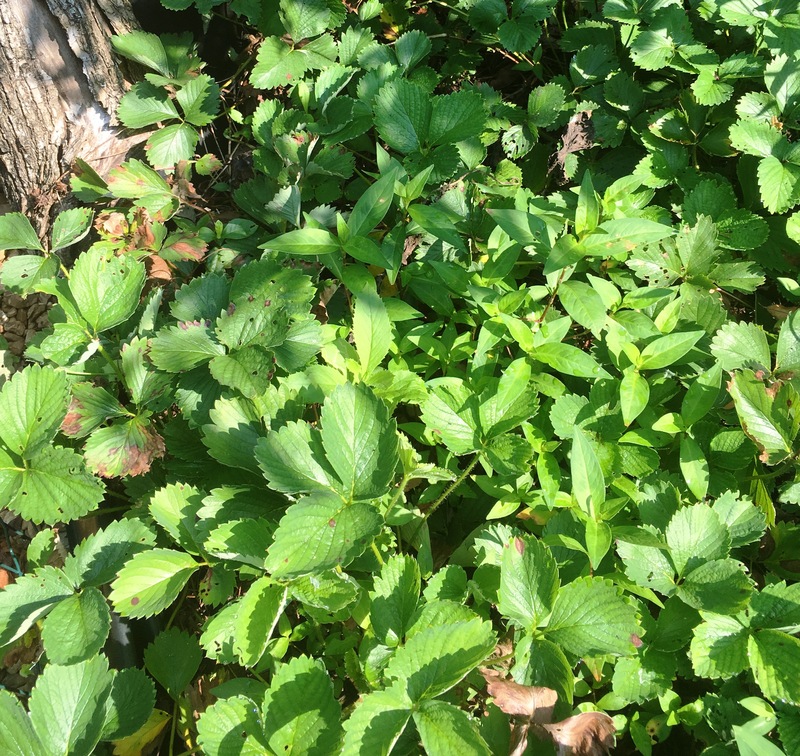 I dread looking at the berry bed when I get to the cabin this evening. 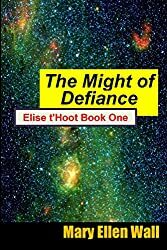 I know what I’ll see – THEY’RE BAAACK!